Radio’s influence can be found in almost every corner of new media. Radio in the Digital Age assesses a medium that has not only survived the challenges of a new technological age but indeed has extended its reach. This is not a book about digital radio, but rather about the medium of radio in its many analogue and digital forms in an age characterised by digital technologies. 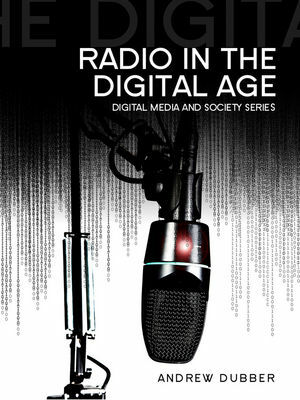 The context of the digital age reveals new insights about the nature of radio. This book will make essential reading for students of media, communication, broadcasting and the digital industries. It offers a timely and comprehensive introduction for anyone who wishes to understand the role of radio in today’s media landscape. Andrew Dubber is Professor of Music Industry Innovation at Birmingham City University.